Sermon preparation sometimes can be a battle. A battle against time, a battle against boredom, a battle against schedules, a battle against laziness. But there is one thing you can do to better equip yourself to fight these battles. 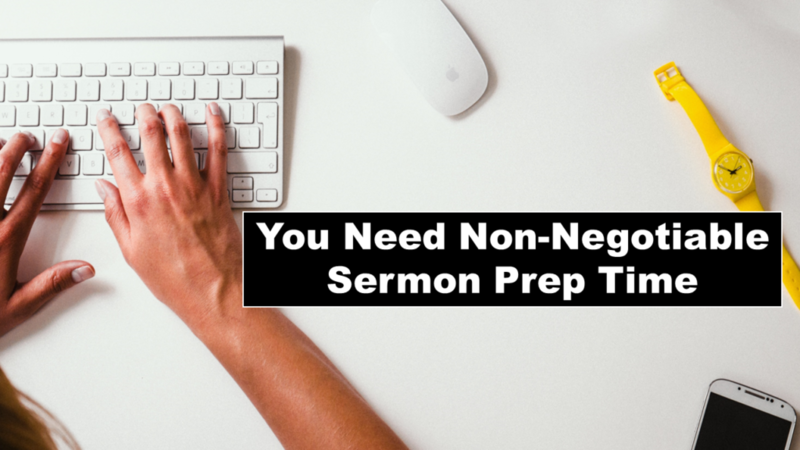 You can set aside non-negotiable time just for sermon preparation. Now, I know how some of you will fight back against doing this, ” I just can’t I’m too busy” “I don’t work best like that” “I’m bi-vocational and simply do not have the time” “people need me” etc. I get all these points I really do, but hear me out. Setting aside some time that is non-negotiable just for sermon prep will allow you to really dig into the process. You can lock yourself in your office at church or your home office and really just solely focus on preparing the best sermon to communicate God’s will to people when you preach. Some people take, say, Tuesday and make it their sermon preparation day. If you are able to do that, then great! Many of us can’t though. Whether we are the only staff member or bi-vocational and cannot commit that kind of time we just need to find another option. So I would suggest picking a few hours and making it your dedicated, non-negotiable sermon preparation time. Some of us are in the habit of saying “I’m working on my sermon during this time” but then letting ourselves get sucked into meetings or other tasks. Unless, someone needs a hospital visit, someone dies, or some other pressing crisis, you really need to mean the “non-negotiable” part. I know I have fallen into the trap of getting sidetracked by other things on my computer when I am preparing a sermon on my computer. Pulling up E-mail or checking Twitter and Facebook is not a good use of your non-negotiable sermon prep time. Many times we can say “hey I’m working on my sermon” and that doesn’t really mean anything to the people around us. Whether we are at the church office or the home office make sure you communicate the importance of some uninterrupted sermon prep time. It will make a world of difference. Sometimes we get wrapped up in systems and processes and we forget that everything we do is worship to our God. 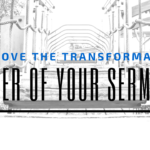 Sit back and reflect on the absolute truth that when you are preparing your sermons you are worshiping. Don’t forget your worshipful alignment in your study and writing. How do you utilize non-negotiable sermon prep time? Let us know in the comments! 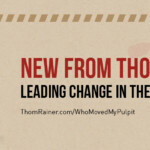 Next article “Who Moved My Pulpit?”: Win Thom Rainer’s New Book!